Omaha, Neb. (Sept. 5, 2017) – Omaha&apos;s Henry Doorly Zoo and Aquarium&apos;s 2016 Economic Impact Study results reveal the economic impact to the City of Omaha to be $267.01 million. This includes $109.44 million in labor income paid to an estimated 2,849 workers employed at either Omaha&apos;s Henry Doorly Zoo and Aquarium or businesses throughout the Omaha economy. 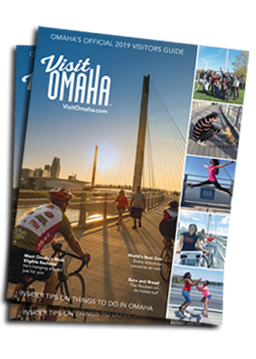 The additional economic activity in Omaha due to Omaha&apos;s Zoo and Aquarium generates an additional $4.16 million in local sales, use and lodging tax revenues for Omaha. These 2016 economic impact figures are record highs and are from 13 to 25 percent higher than impacts for 2015. Study results reveal Omaha&apos;s Henry Doorly Zoo and Aquarium&apos;s economic impact to the State of Nebraska to be $216.80 million which includes $78.86 million in labor income. There was also a tax revenue impact of $10.20 million in state sales, use and lodging taxes. In 2016, Omaha&apos;s Henry Doorly Zoo and Aquarium attracted a record 2.05 million visitors. The entire study is available upon request. Jeremy Eddi, the Zoo and Aquarium&apos;s Chief Financial Officer, will be available for interviews. The Economic Impact Study was conducted by Dr. Eric C. Thompson, the Director of the Bureau of Business Research and Associate Professor of Economics at the University of Nebraska-Lincoln. Dr. Thompson is the author on economic impact reports such as University of Nebraska-Lincoln Athletic Department and Nebraska Wineries and Grape Growers. Dr. Thompson was also the co-author of the Olympic Swim Trials and the NCAA Basketball and Volleyball Tournaments on the City of Omaha. Dr. Thompson&apos;s research on the Nebraska and national economy examines competitive factors affecting state and local economic growth, the impact of infrastructure on the economy, and economic development. His research has appeared in the Journal of Regional Science, Regional Science and Urban Economics, and the Journal of Cultural Economics. Dr. Thompson served as the Co-Editor of the journal Growth and Change in 2003 and 2004. Dr. Thompson can be reached directly for comment. Consistently ranked as one of the world&apos;s top five zoos, Omaha&apos;s Henry Doorly Zoo and Aquarium is an independent not-for-profit organization accredited by the Association of Zoos and Aquariums (AZA). As a leader in conservation, the Center for Conservation and Research focuses on areas to benefit animal husbandry and species conservation. Focus areas include conservation genetics, conservation medicine, rare plant conservation, reproductive sciences and comparative nutrition. The Zoo is recognized nationally for its conservation, animal care and exhibit design. Omaha&apos;s Henry Doorly Zoo and Aquarium is located at Nebraska&apos;s I-80, 13th Street exit.